Join Fun-loving Pug Puppy Brothers Bingo and Rolly on more Paw-some Adventures! Everyone LOVES a super cute doggie movie and there is nothing cuter than Puppy Dog Pals! Well, we have a FUN giveaway opportunity for you to win a pawsome Puppy Dog Pals prize pack! To read more about Puppy Dog Pals, check out my posts from my Disney San Francisco Trip HERE! 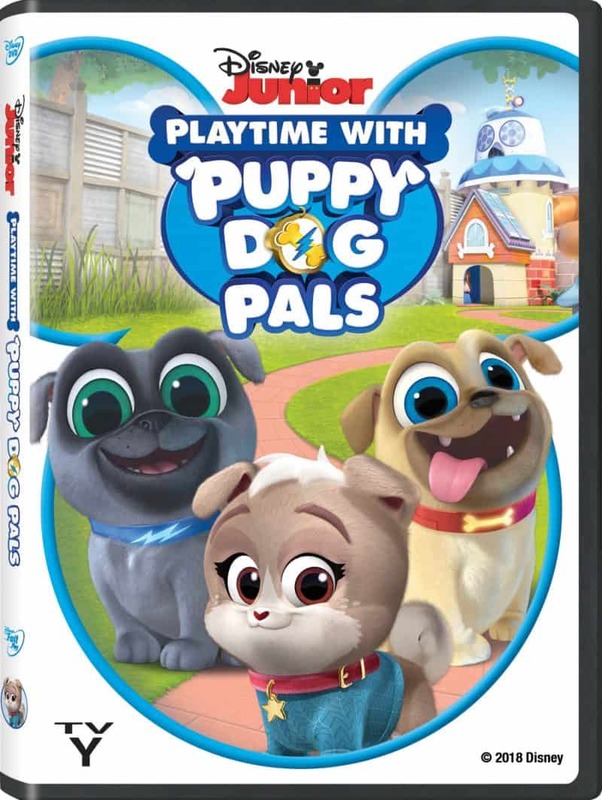 One lucky reader will win this FUN Puppy Dog Pals Prize Pack! Includes Puppy Dog Pal DVD, Bath Squirters, Board Book and Mini Backpack! I don’t know what shows are on Disney Channel as I don’t pay to have that channel on my cable. I don’t watch the Disney Channel, but I like some Disney movies; I enjoyed Coco and Frozen, for example. I really like Hannah Montana. I don’t watch the Disney Channel….my granddaughter is all about Nick Jr.
Puppy dog pals and Mickey Mouse clubhouse ! My 4 year old grandson loves this show. My son loves Puppy Dog Pals & Mickey Mouse Clubhouse! My family’s favorite Disney Channel show is Bunk’d. I like Duck Tails. At least it’s something I can relate to — the comics I used to read as a kid. Oh man so hard too choose.. I love Disney!! Hannah Montana is my favorite! My granddaughters love Mickey and The Roadster Racers. 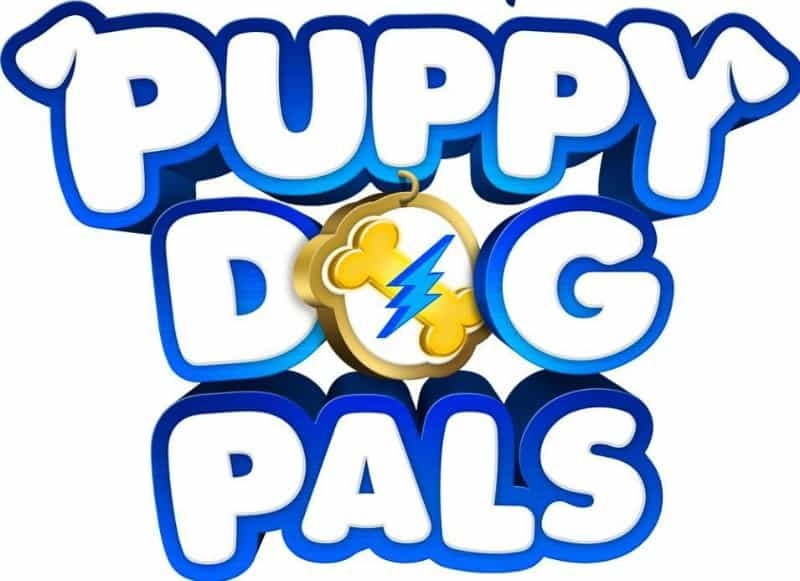 I really like Puppy Dog Pals. My niece is a huge fan of Vampirina. There are lots of cute shows on Disney Channel! Sydney loves Puppy Dog Pals, and the family likes watching the movies. I’m not really sure maybe it was that Wizards of WAverly Place is that on the Disney Channel? DuckTales is my favorite Disney channel show. My favorite Disney Channel show is the Mickey Mouse clubhouse! Raven in the House is the best show on Disney currently. I don’t watch The Disney channel, but it looks like it has a lot of fun programs. We don’t have the Disney Channel. I would say Lizzie McGuire. When I use to have it, I guess I enjoyed shows like Wizards of Waverly Place, and Even Stevens, haha. me personally i love dod mcstuffins..my kids love this show though! Puppy Dog Pals!I have a 4 year old that is obsessed with the show. My daughter loves Puppy Dog Pals!! I don’t have a favorite show. I believe my nephew’s favorite is The Lion Guard. Good Luck Charlie is a good one. We enjoy Pat the Dog, but we do watch mostly just Disney. My 2 daughters love Fancy Nancy. Raven’s Home is my favorite Disney TV channel. My favorite disney channel show would be Vampirina and Puppy Dog pals! We love a lot of shows on that channel! My niece love pbs, Mickey Mouse Club House is her favorite. My littles like to watch Micky Mouse Clubhouse. I don’t know. I don’t watch it much, but will be watching a lot more with my grandson.